France: Art 42 – Street Art in a Museum, in Paris. France’s first museum of street art, but it's only a museum part-time. Did you come to Paris to see museums? Maybe the Louvre, the Orsay, or the Pompidou? And see their famous artists? Monet, Gaugain, Van Gogh? Don’t be a stuck-in-the-mud! Those are names from the past, resting on their laurels, works that were once ground-breaking, but have become the establishment, as predictable as a Mona Lisa tea towel. To find the same excitement these passé artists once created, we have to look elsewhere. 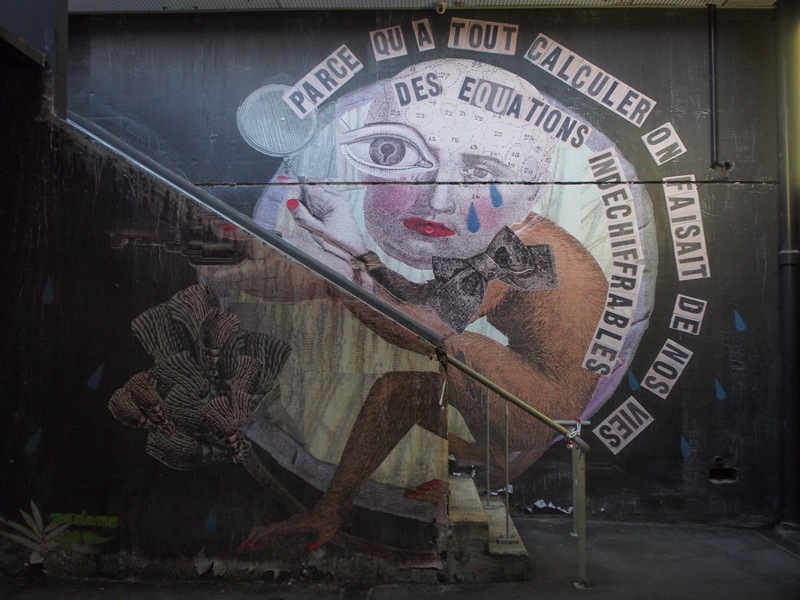 For the first time in France, here is a place that brings together 50 contemporary street artists. 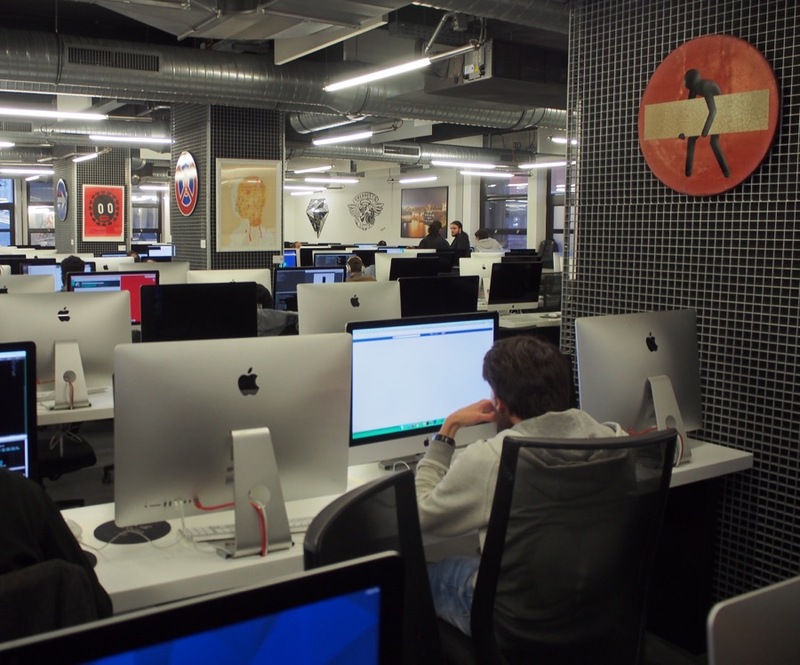 Inside 42, Paris’s mould-breaking school for geeks, in the 17th arrondissement. Map. 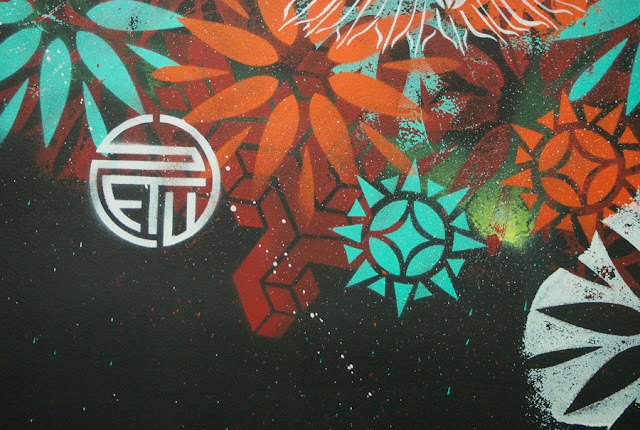 PERHAPS IT IS an oxymoron, a museum for street art. Rather than outside, put up illegally, the works of art are neatly hung on walls, inside, either commissioned or purchased. But Art 42 is not a normal museum. It’s not really a museum at all- it’s a collection that is occasionally open to the public. We hope we don’t have to explain the name. 42 is of course the Answer to Life, the Universe, and Everything. And 42 is the name of the school founded and financed by Xavier Niel, a hacker-turned-digital-mogul (he owns the French mobile phone company Free). 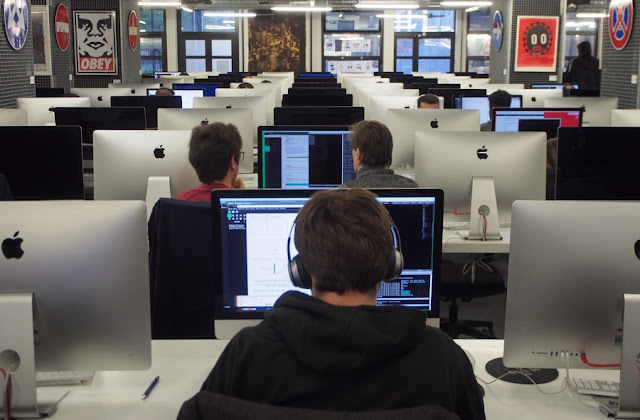 42, the School, is an attempt to do education the 21st century way: the school teaches coding, prepping the next generation of the digital workforce, and does so without a fixed curriculum, teachers, or class hours. Its campus is open 24/7, and students roam the campus day and night. Everything about the school is a break with traditional ways of doing things, and that applies to the décor as well. 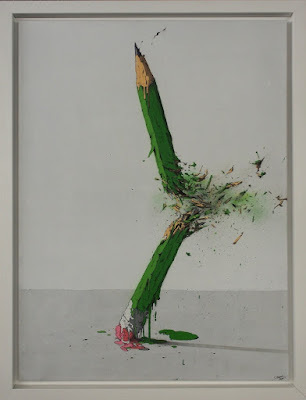 So Mr Niel got one of his buddies, Nicolas Laugero-Lasserre, an avid collector of street art, to put his personal collection on display in the school building. For the students it’s just part of their daily surroundings- an appropriate décor for the hacker mentality that pervades the building. But twice a week the school opens its doors to visitors, and 42 the school becomes Art 42, the first French museum (sort of) for street art. 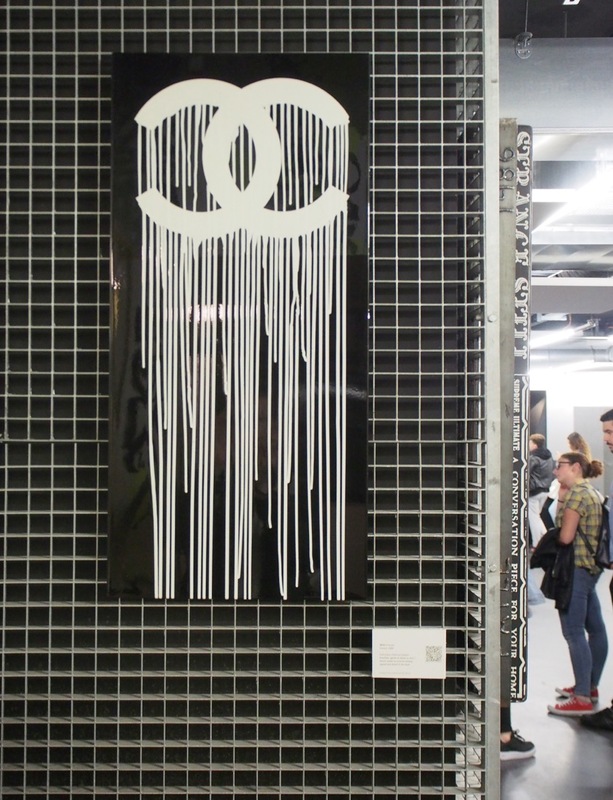 Clet Abraham's subverted traffic signs are a common sight in Paris, as well as at Art 42. Volunteers, some of them students who enjoy art in addition to coding, give guided tours and take you through three floors of the building, all packed with Apple Mac computers and students working together or zoned out with their headphones while visitors gawk at the art at the wall. Some of the artists are reasonably well-known. You’ve probably heard of Banksy. The artist known as Invader has his own Minor Sights article, surely a sign of cultural significance, and artist ZEVS had his own exhibition in Paris in 2016. Others may be familiar from your strolls around Paris. Works from the mysterious artist Le Diamantaire are dotted all over Paris, as are the subverted traffic signs by Clet. 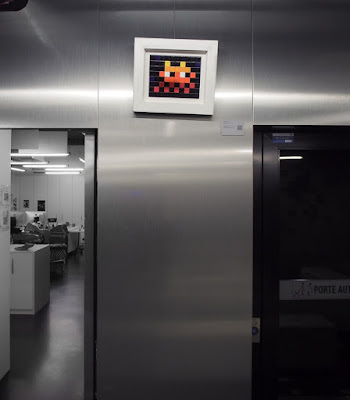 A Space Invader by Invader. A diamond made by Le Diamantaire. 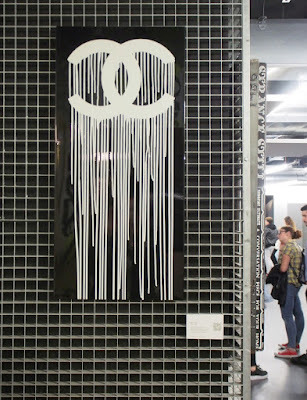 A liquified Chanel logo by ZEVS. 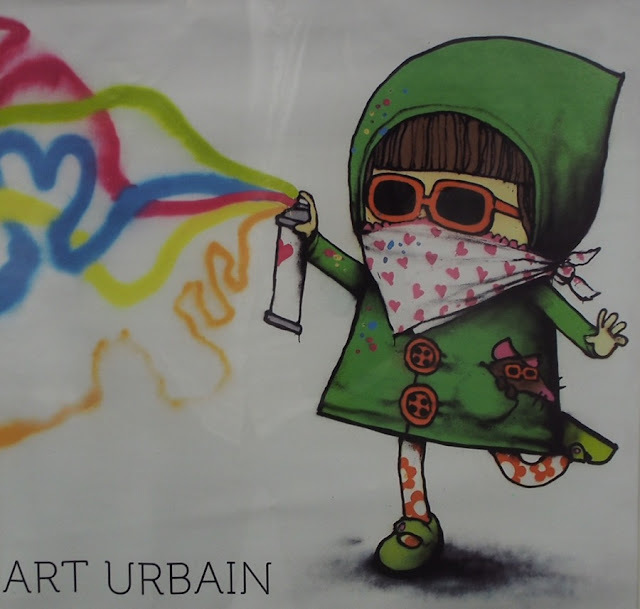 Brusk made this graffiti work after the Charlie Hebdo attacks. But part of the joy of a visit here is seeing new creative stuff, some of it good, some of it perhaps less so, but at least it’s never boring and predictable. 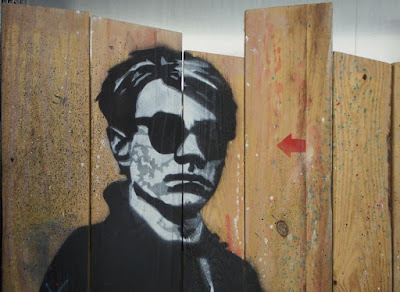 Warhol, Basquiat and Haring in a work by Jef Aerosol. 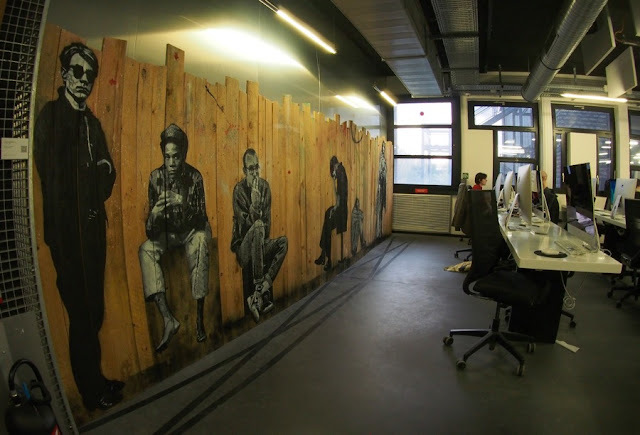 Art 42 is located at 96, Boulevard Bessières, 75017 Paris. It’s a bit out of the way, but if you take métro line 13 to Porte de Clichy it’s a 5 minute walk from there. Warning: you cannot just rock up and expect to be let in. You have to book a tour in advance, and teh number of participants per tour is limited. 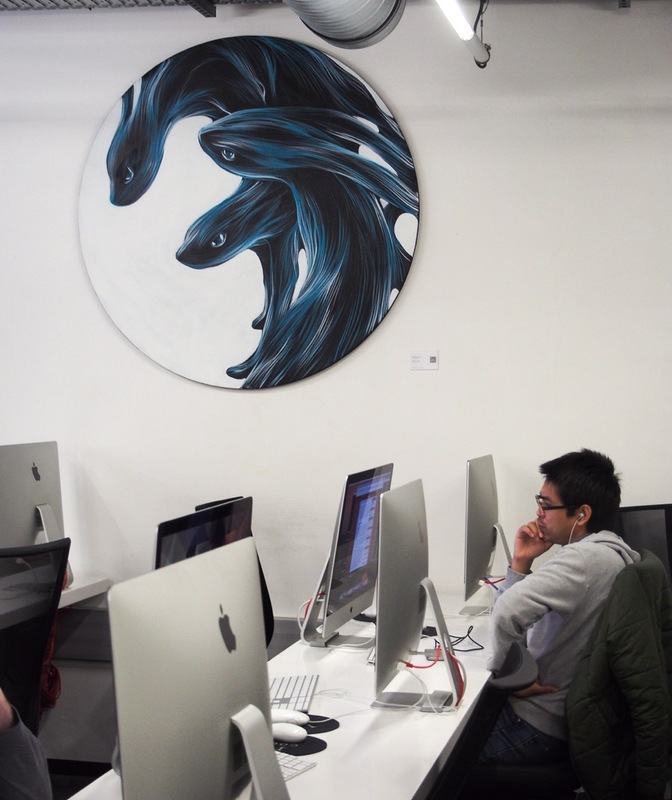 Art42 is only open Tuesday and Saturdays, with limited opening hours. You can sign up here. 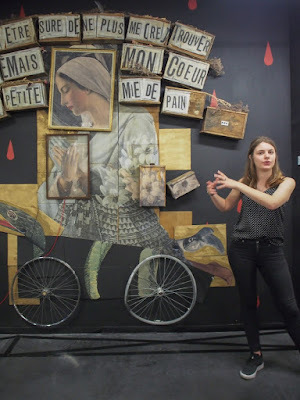 A guide explains one of the works by Madame. Art 42 official website and reservation system. The New York Times has a good article.